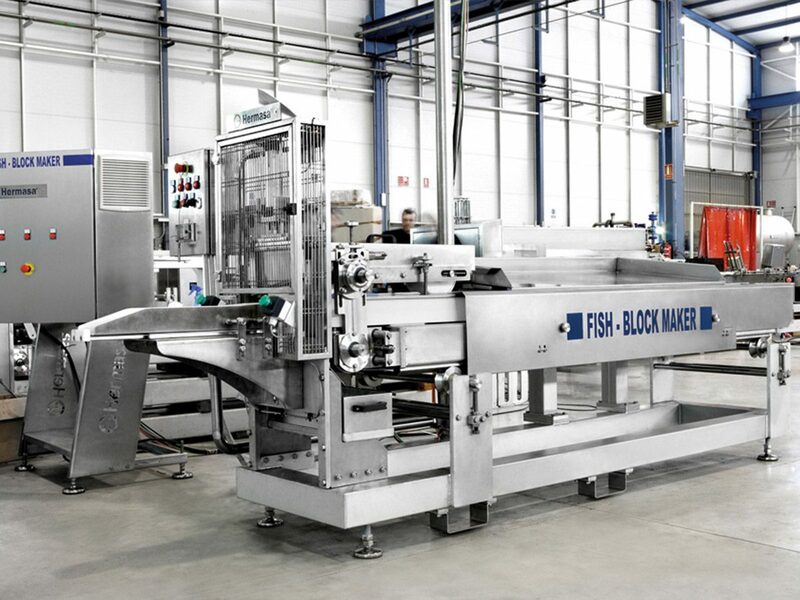 Designed to form fish blocks with subsequent bagging in a semi-automatic fashion with high production. 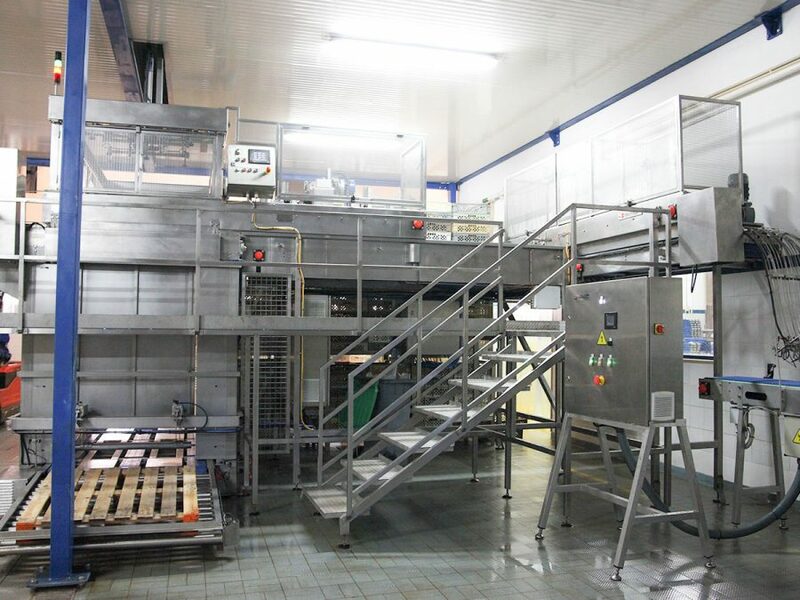 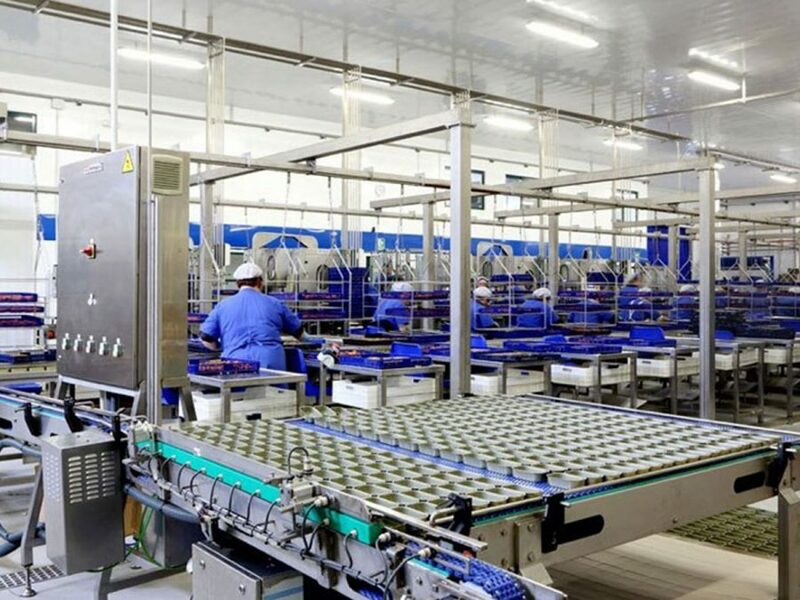 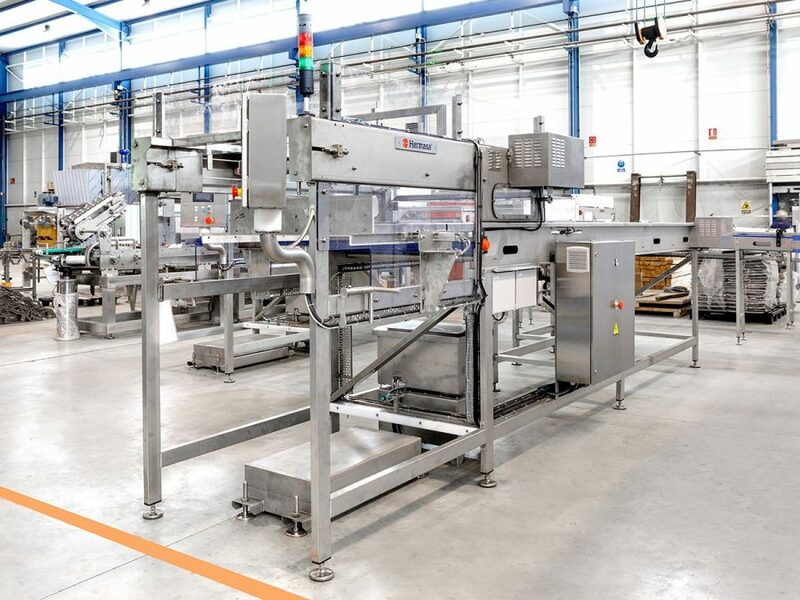 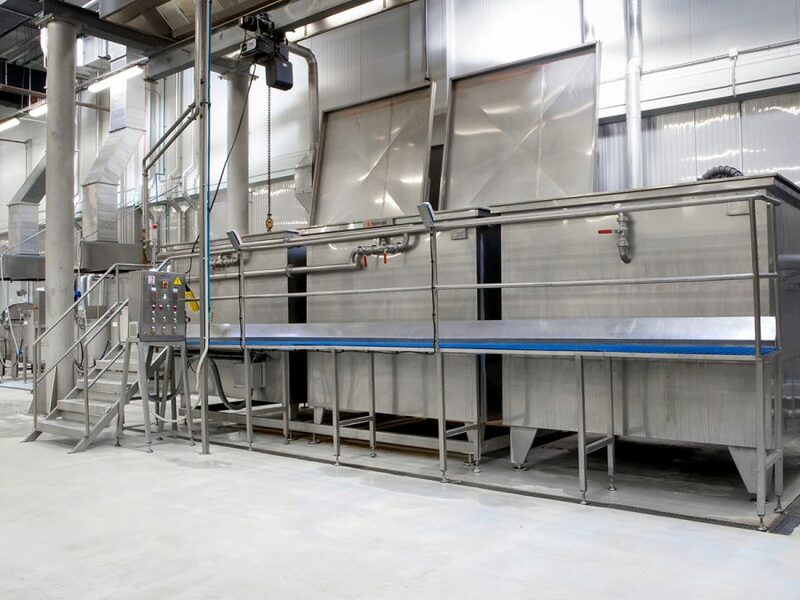 The fish is positioned on conveyors by a transfer system, designed and patented by Hermasa, it fills moulds that have been previously inserted in plastic bags, which then pass through vacuum, sealing and freezing. 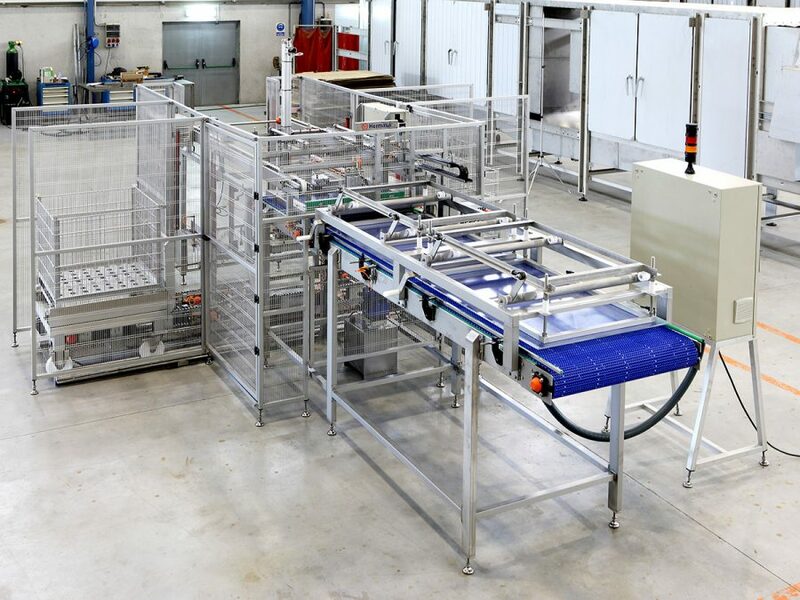 It is versatile because it can be adapted to different block types. 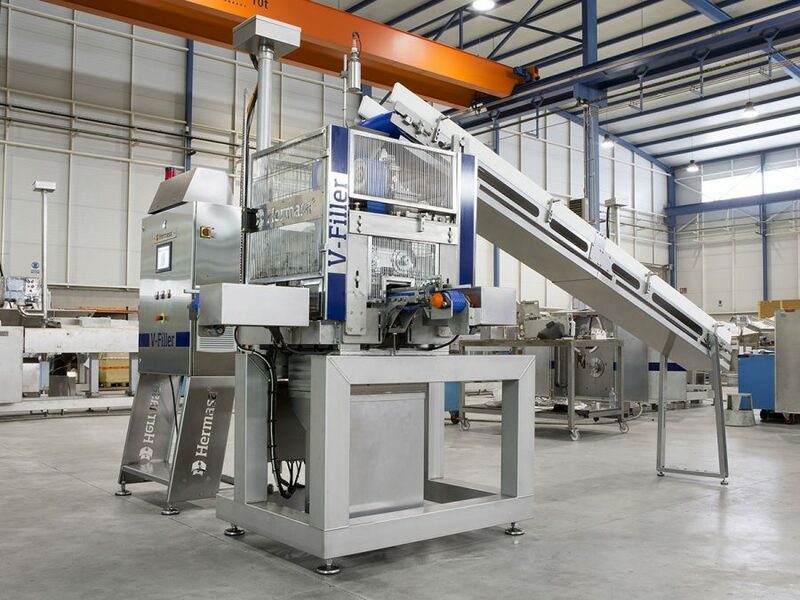 Considerable labour reduction, increased production, accurate weights and better end-product quality, with practically no crumb production. 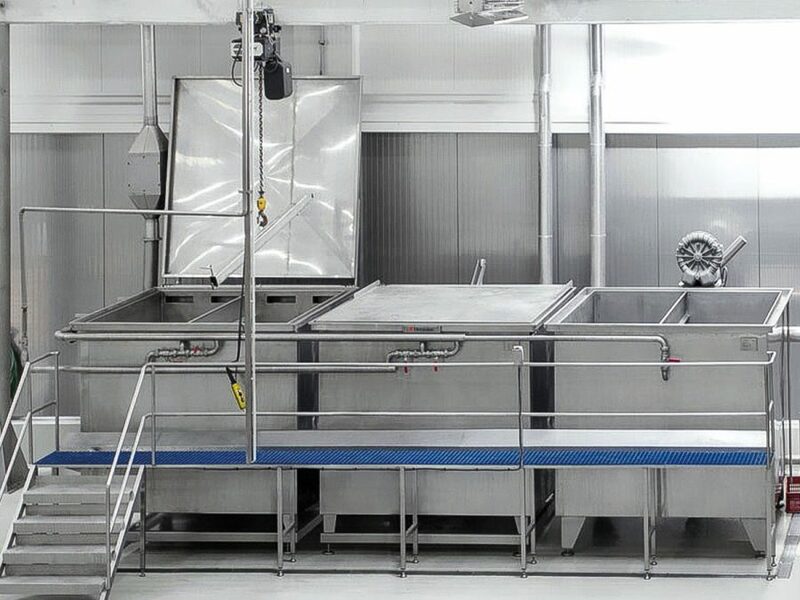 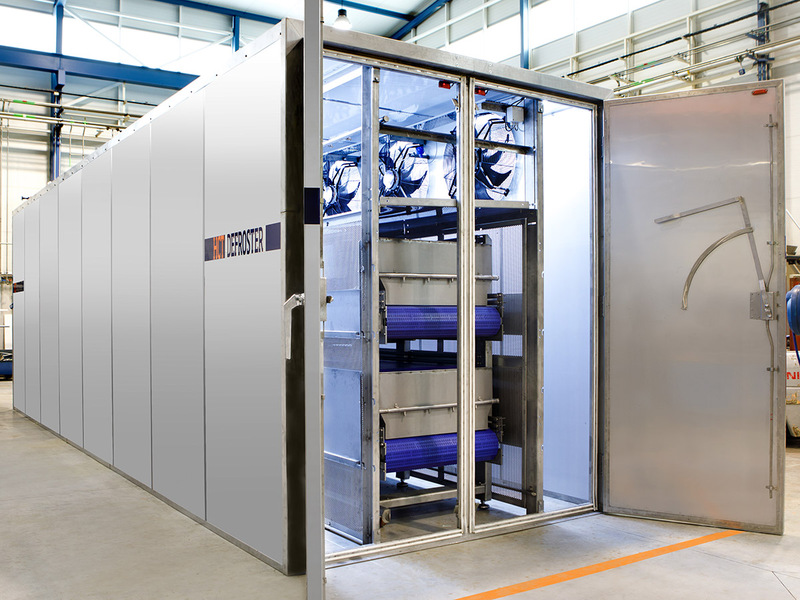 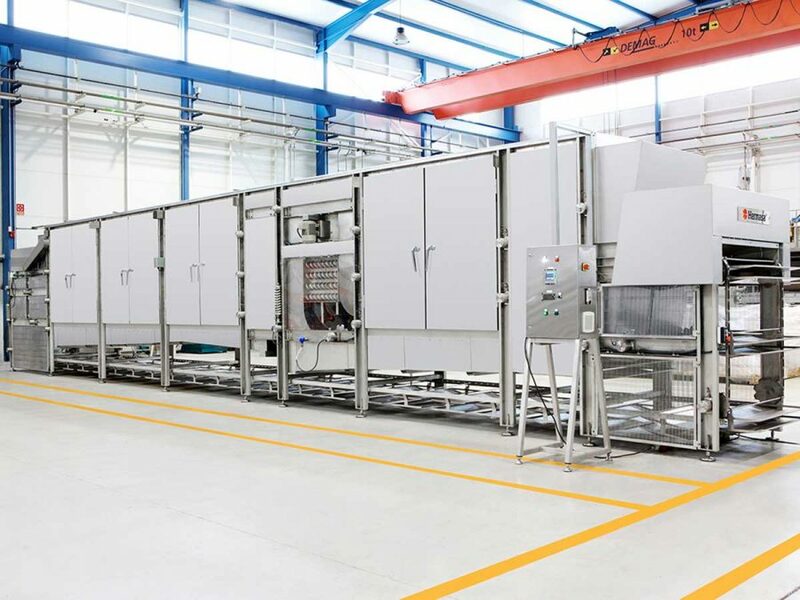 Generation of uniform blocks, which favours freezing, better packing, greater load capacity per container (depending on administrative limitations) and a more uniform defrosting process.